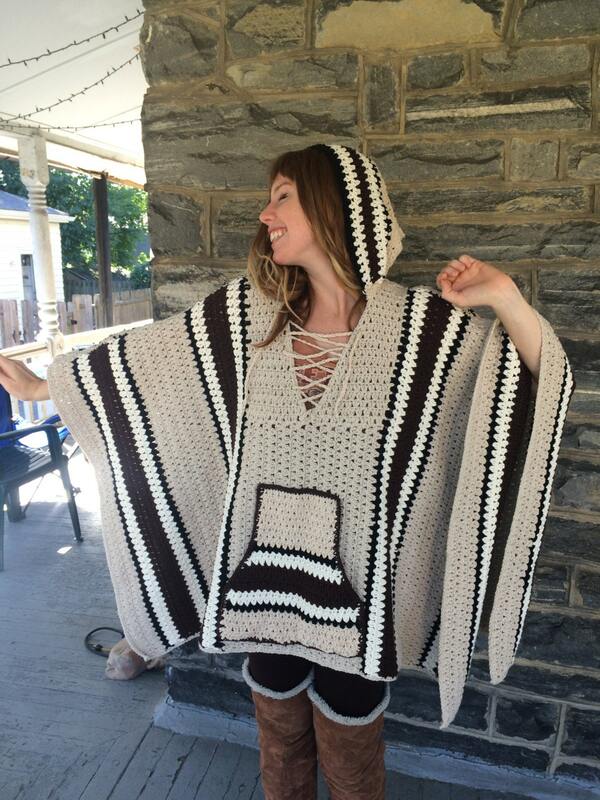 This is a hooded Baja crochet poncho / sweater made using 100% high quality cotton yarn lovely beige, offwhite, dark brown. 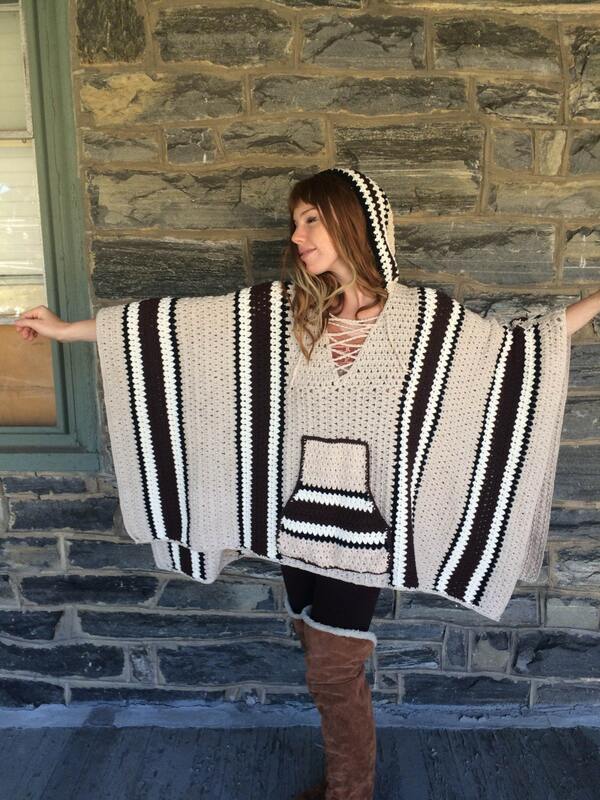 Poncho features, stripes for that bohemian look, hood and kangaroo pockets and its open on the side thus this poncho will definitely keep you cozy and warm! 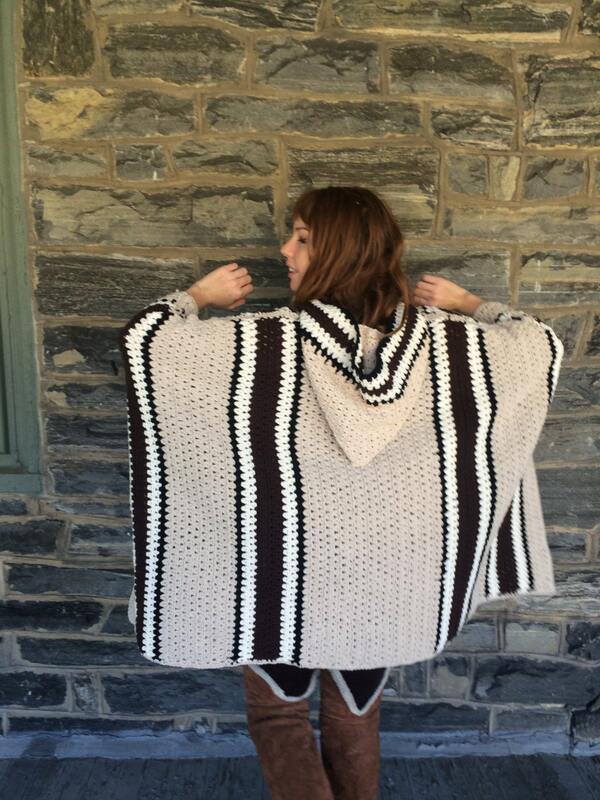 It is a one size fits most. 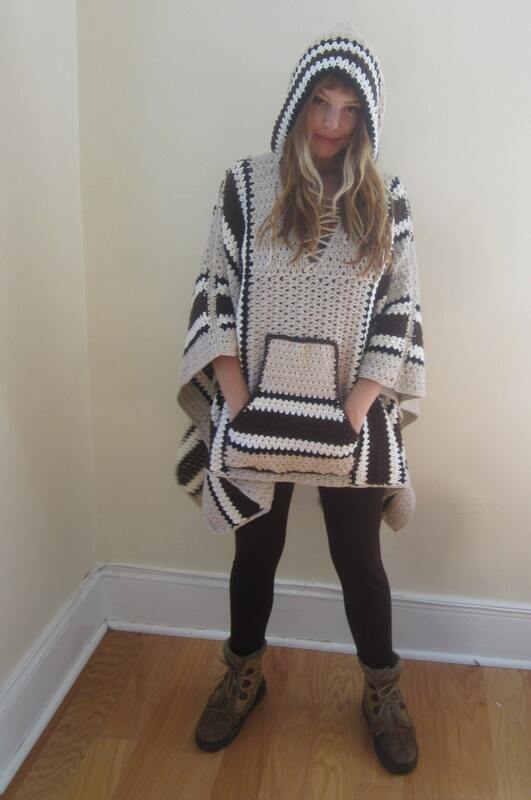 Wear it to work or throw it on as you rush out of the door and you will look instantly chic and elegant!